If this card is Link Summoned: Shuffle 2 "Flower Cardian" monsters from your GY to Deck; then draw 1 card. Once per turn, if all zones this card points to occupied(Quick Effect): You can have this card gain 2000 ATK until the end of your next turn, but monsters you control other than this card cannot attack. Something that messes up Extra Deck(s). Mess up, or mess with? Either or, I think this is what you're looking for? And also what Blue Maiden might have been looking for before she battled Bowman. While this card points to no monsters with Levels, it can attack directly. While this card only points to monsters with Levels (min. 1), neither player can Link Summon. All monsters on the field with 3000 or more ATK cannot attack, also those monsters that were Special Summoned from the Extra Deck cannot destroy cards on the field (by battle or card effect). A Ritual Supporting (but what about the Nephthys ones-I said supporTING, not supporTED) Link. When this card is Link Summoned, You can shuffle a Ritual Spell or Monster from your hand or GY in to the Deck, and if you do, draw 1 card. Monster(s) that would be used as tribute for a Ritual Monster with the same attribute can be used as the entire tribute. ~ It inflicts doubled piercing damage. If you activate a "Witchcrafter" Spell in a zone this card points to: You can return that card to the hand after it resolves instead of sending it to the GY, but if you do, you cannot activate cards with that card's name for the rest of this turn. If this card would be destroyed (by battle or by card effect): You can discard 1 Spell instead. You can only use each effect of "Witchcrafter Orologiaia" once per turn. I'll go for the trifecta: An Evil Eye Link-2. If this card was Link Summoned: You can target 1 "Evil Eye" card that is banished or is in your GY; add it to your hand, then, if the target was a monster, and this card was Link Summoned using a monster with 1900 or more ATK, you can Special Summon 1 "Evil Eye" monster from your hand. 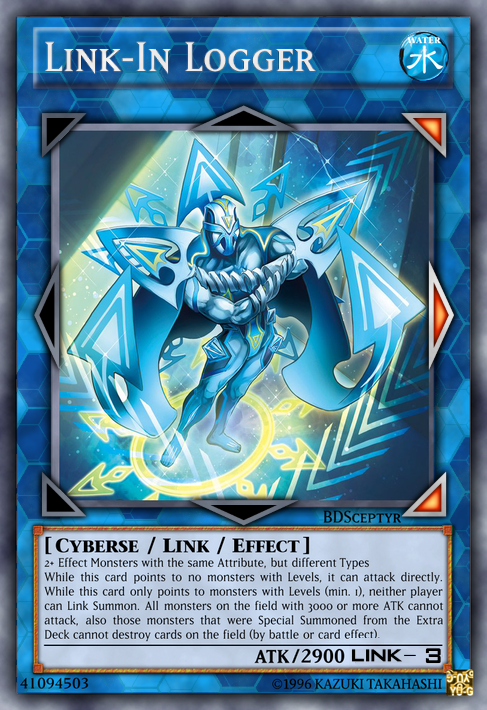 If this card is equipped with "Evil Eye of Selene" (Quick Effect): Target 1 monster in your opponent's GY; banish it, and if you do, until the end of the next turn, its effects are negated, as well as the activated effects and effects on the field of monsters with the same original name. You can only use this effect of "Penemue, Usurper of the Evil Eyed" once per turn. Once per turn, during the next Standby Phase after this effect was activated: Negate the effect of 1 Effect Monster this card currently points to. If this card is Link Summoned: You can destroy Spell/Trap cards your opponent controls, up to the number of "Simorgh" monsters with different names in your GY. During either player's turn, if a "Simorgh" monster is Special Summoned to a zone this card points to: You can target 1 card on the field; place that target on top of the Deck. You can only use each effect of "Simorgh, Bird of Calamity" once per turn. When this card is Link Summoned: You can banish 1 card from your Deck. If a card(s) is banished, except by this card’s effect: You can Special Summon 1 of your banished LIGHT Wyrm monsters to a zone this card points to. If this card is banished, during the Standby Phase of the next turn: You can shuffle this banished card into the Extra Deck; add 1 of your banished "Metaphys" cards to your hand. You can only use each effect of “Metaphys Wyvern” once per turn.